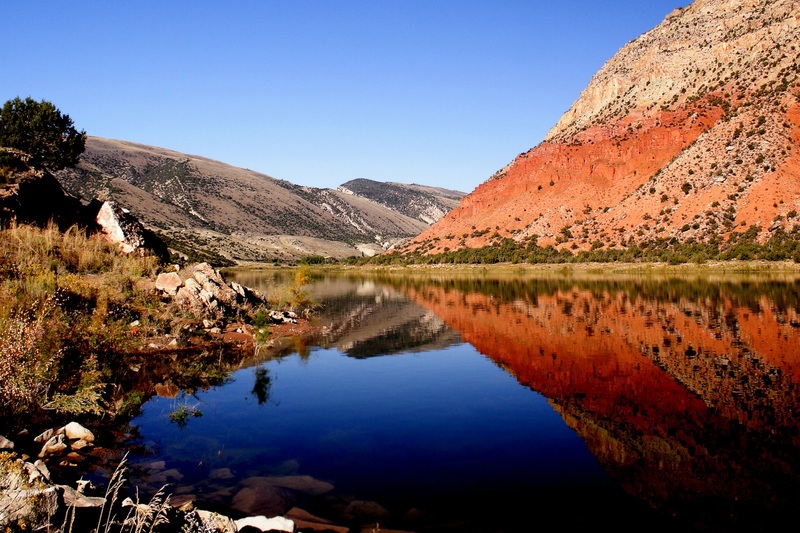 Most people think about visiting the Flaming Gorge National Recreation area in the warmer months, but have you considered visiting in the spring, before the rest of the world gets there? I love off-season travel, you don't have the crowds, and you have a better chance to really see the true personality of an area and its people. I also like being able to adventure and still stay within my budget, and that's more difficult to do if you are paying for rooms and tours and trips when demand is high. 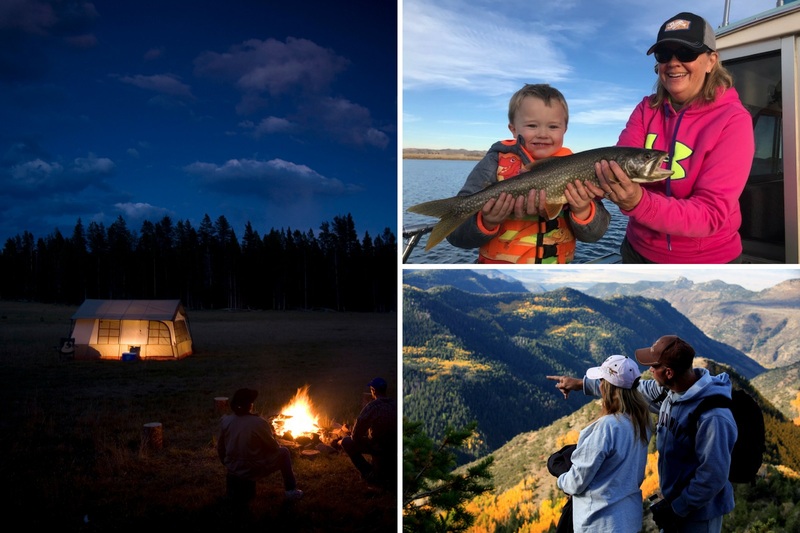 The Flaming Gorge area, which is located both in the southwest corner of Wyoming and the northeast corner of Utah, is one of those places where you can get great rates for lodging and guided fishing trips in the off-season, while still offering plenty of outdoor activities year-round. A bonus is that there are enough fishing, hiking, and climbing areas there to keep kids with even the shortest attention span busy for hours, making it an ideal family destination. You can plan a unique family weekend outing, or if you’re planning a longer trip, consider stopping for a few days on your way north to Jackson Hole, or south to Lake Powell. The trophy lake trout that live in the Flaming Gorge reservoir are catchable all through the year, and it’s really nice to be on the lake when there aren’t a lot of other boats trolling through the same area. Most of our family’s best lake trout have been caught on Flaming Gorge in the off-season. Below the Flaming Gorge Dam, the Green River offers open water all year long. If you’ve never fished the Green, you need to put it on your list because the deep, emerald colored pools in the river hold lots of beautiful Browns and Rainbow trout. The canyon just below the dam has the most amazing views, with high red rock walls that line the river. And if you’re lucky, you'll spot Big Horn sheep and a few eagles on the side of the river. This is one of the most beautiful rivers I’ve ever floated, so much so that it’s easy to get distracted by the view and forget to watch your fly. If you don’t have a boat, you can rent one in Dutch John, Utah, or hire one of the local guide services. We like to hire a guide for at least the first trip down a new river, it usually pays off because they know the river and what the fish are hitting on. And with around 15,000 fish per river mile on the Green River, I choose to fish instead of rowing myself. Though you don't see it as much on social media, you can spin fish there in addition to fly fishing. Fly fishing is a lot of fun on such an active river, but spin fishing makes it a bit easier to get to the bottom of those deep pools where the really big fish live. My favorite time to fish the Green River is on a weekday, when there is less traffic on the river. If you want to wade fish, Little Hole hiking trail runs from the put-in just below the dam, to the first boat dock (section A), which totals just under 7 miles. Several areas of the trail have boardwalk, and it’s passable through most of the winter. 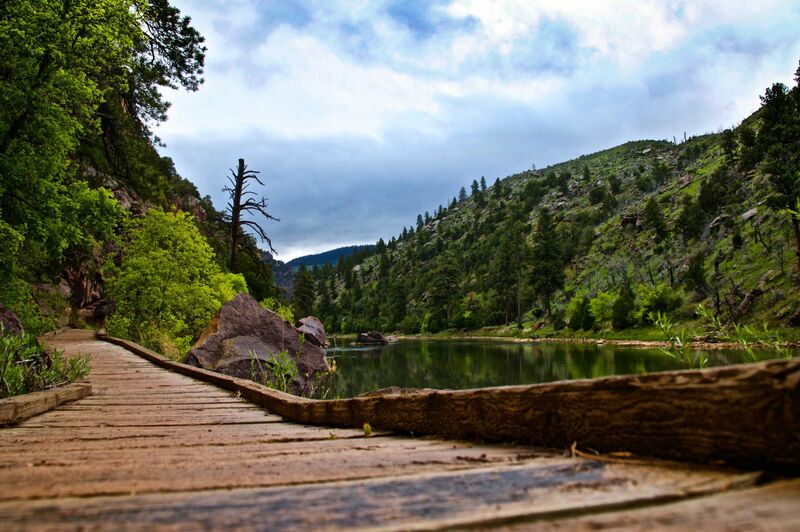 Whether you want to wade-fish, bike, or just hike the trail, you can still experience the amazing scenery and wildlife throughout the canyon. You can't bike the trail in the summer months, so the off-season is a great time to take advantage of the chance to do that. There’s plenty of lodging in the Dutch John area; what I like best is that there are a lot of places that offer family lodging. Our family is so busy during the summer that spring is probably our best time to try to schedule a family reunion. If you’re traveling with children, having a kitchenette is a must. If you stay at Red Canyon Lodge, you can hike the groomed trail to Red Canyon Overlook, which will literally take your breath away. The really deep parts of the lake are open water all year, and I think the snow adds dramatically to the views. At night you can build a bonfire in the fire pit outside the cabins and enjoy the kind of skies that you only see when you get out of town. 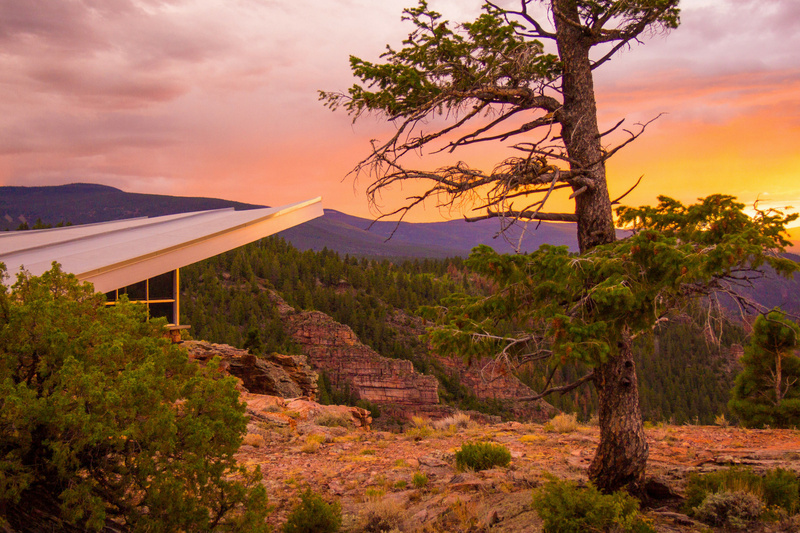 Although Red Canyon Lodge is open for lodging in the winter, their restaurant isn’t. 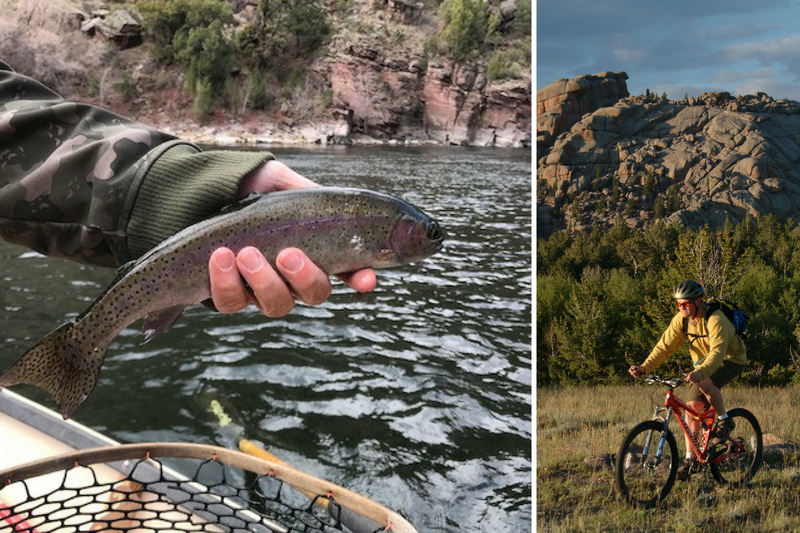 But you can get a really good meal at Flaming Gorge Resort or Browning's; both are also open to get fishing gear, guided trips, shuttles, and snacks. The town of Manila is located just below the Southwest corner of the lake, closer to Lucerne Marina. There are also several restaurants in Manila, along with more places that offer lodging. You can stay in a cabin or yurt at Rocky Ridge Outpost, or if you are celebrating a special occasion, consider springing for Sweet Lorraine's Bed and Breakfast. Before you leave the area, be sure drive the Sheep Creek geological loop and take your camera to get some amazing shots. Spring and fall are the best time for photography on the loop; and if you're lucky, in the fall you can watch the Kokanee salmon start making their trek upstream. Whether you are trying to travel more economically, avoid the crowds, or cure some winter time cabin fever, consider travelling in the off-season. 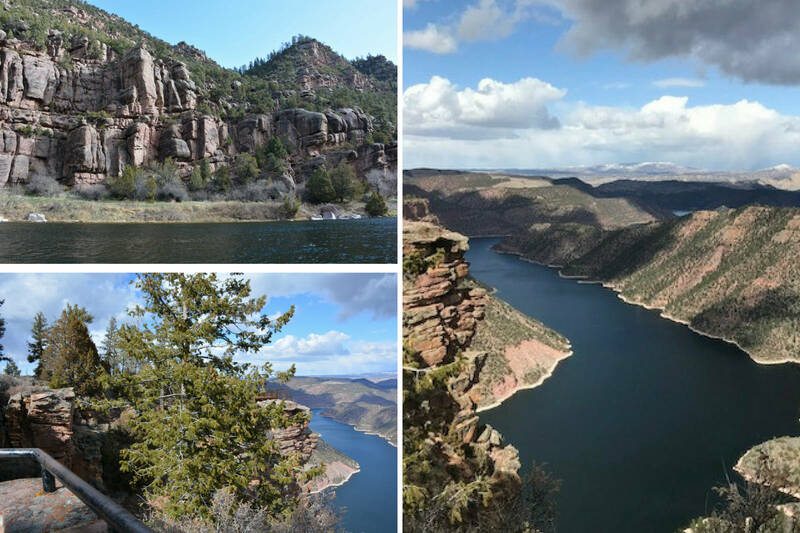 The Flaming Gorge may not be on your radar as a destination in the off-season, but if you give it a try, I'm sure you won't be disappointed. Thank you for visiting http://www.flaminggorgecountry.com/best-time-visit-flaming-gorge! Be sure and revisit flaminggorgecountry.com frequently for content updates and more.